2018 Alfa Romeo Giulia Monza Red Metallic AWD 8-Speed Automatic I4 * POWER PANORAMIC MOONROOF *, 8.8 FACTORY NAVIGATION *, ONE OWNER *, LEATHER SEATS *, NON SMOKER *, POWER WINDOWS * POWER LOCKS * CRUISE CONTROL *, AUDIO JACK FOR MOBILE DEVISES *, 40GB HARD DRIVE W/28 GB AVAILABLE *, REMOTE STARTER *, STEERING WHEEL MOUNTED AUDIO CONTROLS *, TILT AND TELESCOPIC STEERING WHEEL *, PRE CERTIFIED *, POWER TRUNK *, UCONNECT VOICE COMMAND W/BLUETOOTH, BLUETOOTH *, KEYLESS ENTRY *, FOG LIGHTS, HEATED STEERING WHEEL *, TRAILER TOW PACKAGE *, ALLOY WHEELS *, KEYLESS GO *, SIRIUS XM, ALL SPEED TRACTION CONTROL *. Awards: * Motor Trend Automobiles of the year At Zeigler Schaumburg CDJ, Home of the BEST PRICE GUARANTEE, we take pride in treating our customers like family, ensuring that your experience is one that you will never forget. Every vehicle has been through a 125 point safety inspection completed by a certified technician and fully detailed. Take advantage of our VIP internet experience by contacting us at 847-882-8400 to schedule a test drive. We are proud to service customers in Schaumburg, Arlington Heights, Palatine, Elgin, Barrington, Chicago, &amp; anywhere in the Great state of Illinois, saving you time &amp; money on any New or Pre-owned vehicle! See dealer for complete details, dealer is not responsible for pricing errors, all prices, plus tax, title, plate, and doc fees. Serving Illinois and all of our surrounding cities like Schaumburg, Arlington Heights, Palatine, Elgin, Barrington, &amp; Chicago. Some of our used vehicles may be subject to unrepaired safety recalls. Check for a vehicle&#39;s unrepaired recalls by VIN at http://vinrcl.safercar.gov/vin/. Zeigler CDJ-"FOR A GREAT EXPERIENCE". Never titled! Original MSRP $53,740 Here is gorgeous 2018 Alfa Romeo Giulia Ti Sport with 3272 miles. This is car fresh from our loaner fleet that is entirely original, has not been smoked in, and has plenty of factory warranty. Please call or email for availability. This very pretty Giulia will not last and is currently on display on our showroom floor.Zeigler Alfa Romeo of Schaumburg located at 210 W Golf Road is excited to be able to offer you new Alfa Romeos in their brand new showroom. Their highly trained sales staff is eager to share their knowledge and enthusiasm.Visit their brand new service facility equipped to handle all your service needs. Your Alfa Romeo will be serviced with care by our highly trained service technicians at the Zeigler Alfa Romeo Service Department. 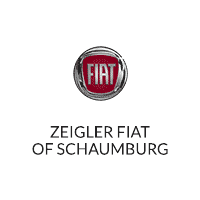 Contact Zeigler Alfa Romeo of Schaumburg today. Ciao! 2018 BMW X5 xDrive50i AWD 4.4L V8 DOHC 32V Twin Turbocharged 8-Speed Automatic APPLE CARPLAY COMPATIBILITY, HEATED REAR SEATS, WIRELESS CHARGING, FRONT VENTILATED SEATS, X5 xDrive50i, 4.4L V8 DOHC 32V Twin Turbocharged, AWD, Black Sapphire Metallic, Black w/Dakota Leather Upholstery, ACC Stop & Go + Active Driving Assistant, Active Blind Spot Detection, Active Blind Spot Detection (ZN1), Active Driving Assistant, Adaptive Full LED Lights, Aerodynamic Kit, Automatic High Beams, DRIVING ASSISTANCE PLUS PACKAGE, Dynamic Digital Instrument Cluster, EXECUTIVE PACKAGE, Extended Collision Mitigation, Head-Up Display, Heated Steering Wheel, High-Gloss Roof Rails, M SPORT PACKAGE, M SPORT PACKAGE (337), M Steering Wheel, Navigation System, Parking Assistant, Poplar Wood Trim, Shadowline Exterior Trim, Soft-Close Automatic Doors, Speed Limit Information, Standard Suspension, Wheels: 19" x 9" M Light Alloy Double Spoke, Without Lines Designation Outside. BMW of Orland Park is part of the Zeigler Auto Group. We have one of the best selections of New, Certified and Pre-Owned BMW's in the Chicagoland area, plus a great selection of Pre-Owned vehicles for the whole family. Contact one of our BMW Certified Client Advisors at 708-460-4545 or Toll-Free at 866-460-4545 for further details and vehicle availability. We have over 70 new BMW courtesy vehicles available for our service customers, just ask when your make your appointment. We also offer local Courtesy Pick-up and Delivery for service customers. Enjoy the Experience at BMW of Orland Park. Internet Price INCLUDES AVAILABLE BMW REBATES! See Dealer for Details!